On April 28th 2016, Otto Birnbaum presented on Pricing strategies at the Partech Shaker in Paris. 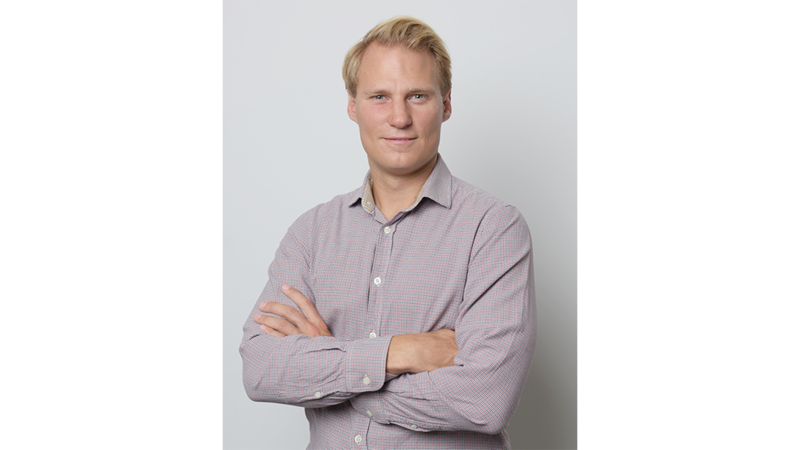 Otto Birnbaum is Principal at Partech Ventures based in Berlin. Prior to joining Partech, he worked as a consultant with US based technology, software and financial service institutions on sales, marketing and pricing issues and helped them achieve strong profitable growth in and outside the US market. He based his presentation on the value pricing strategy to argue that price should remain a principal aspect of a business plan. Setting the right price is a big part of the marketing of any product or service, and a major step when starting a business. A firm has to define its pricing strategies depending on its objectives and constraints. Pricing strategies have an influence on sales, market shares and profitability. From all marketing mix techniques to increase profits, price is the only factor that does not generate costs. Although Warren Buffet once said that the “single most important decision in evaluating a business is pricing power", price is usually the ignored factor in marketing mix. Yet according to Mr. Birnbaum, price is the profit lever n°1, as it is the factor that has the highest impact on profit. As an example, a 10% improvement in variable costs or quantity sold appears not to be as profitable as a 10% increase in price. However, there are multiple ways to set prices for products or services. Otto Birnbaum gave an interesting overview of his best practices and how Pricing strategies should be done. A business leader cannot decide to increase the prices of his products without a defined strategy. There are 3 main methods for setting prices: the cost-plus pricing, a cost-based method where the price is determined by adding a specific dollar to a product's unit cost; the competition-oriented pricing, a pricing strategy based on competing products instead of its own costs or the customer demand; the value-based Pricing, the setting of a product’s price based on the benefits that it provides to consumers. While these 3 techniques are widely used by firms, only one is actually relevant. Let’s focus on the “wonderful cure” that is the value-based pricing. According to Otto Birnbaum, what actually matters to the customer is not the price of the product in itself, but its value and what he will gain from it. Therefore, price is based on subjectivity and perception, not objectivity and technique. Value is what a company should charge for, not costs. For the customer, the purchase of a product is also the purchase of a brand, a quality, added values, etc. How to measure the value of products and services? Knowing what the customers truly value and what they are willing to pay is the main piece of information any firm should have. Otto Birnbaum illustrates his point during the presentation by giving an example of Apple and the prices of its products. The latter is based on two levers only: flash storage and Wi-Fi. The cost to add these features is low for the firm, though Apple is pricing according to the willingness to pay rather than cost. Moreover, pricing psychology is an important component of good pricing strategies. Customers tend to rely too heavily on the first piece of information offered, the “anchor”, i.e. the price of the first product displayed. Once an “anchor price” is set, other judgments are made by adjusting away from that anchor. Accordingly, setting a higher “anchor price” could significantly increase the appeal of other products in the same line-up. For instance, in a wine boutique, when customers enter the shop, they are less likely to buy a $50 bottle of Chardonnay if they believe that it is the most expensive product in the line-up. However, by setting a new anchor price with a $90 the bottle of Chablis, customers are more willing to pay for the bottle of Chardonnay. Last but not least, businesses need to think about how to best communicate the value of their products. For example, the amount of products or services displayed to customers should be carefully considered. Indeed, too many options would lead to “choice overload” or decision fatigue, and would result in reduced purchase intent. Hence, a better knowledge of consumers’ preferences is vital to redesign offers to match products with clients. As a consequence, to be effective in rethinking prices, pricing strategies need to be examined, or pass through a specific process. Prior to the settlement of prices, a firm has to get through a process in order to strategize the correct or most effective or appropriate price. It starts with a mandatory alignment of all stakeholders on the pricing objectives (acquire customers, increase income from one product, customized offering…). The first step enables business leaders to set strategic guardrails before undertaking pricing optimization. Once the main objectives are set, a firm must take a look at the competitive environment and most of all, understand its own competitive positioning, may it be its weaknesses or its competitive disadvantages. It is also very important to point out its advantages. The collected information will help a business to analyse the needs and behaviours of the customers, and therefore have a better knowledge of who the firm is targeting. The logic behind all that is to redesign the products or services according to the customers’ preferences, and implement new products. While start-ups tend to forget the importance of pricing strategies in the definition of their business plans, Otto Birnbaum reminds us that price is one of the most important factors in marketing mix and needs to be taken into consideration, as it can have considerable impact on ultimate success.